Writing & revising the family history: Part 2. Citations & sources. In my last blog post, I described format changes to be made in the next edition of my dad’s family history, “Posten Family of Northeast Pennsylvania”. In this blog post, the second of a 3-part series, I examine the citation of sources with examples from my own work. A later blog post will present types of sources and their evaluation. What about citations, also known as references? In general, I followed the Chicago Manual of Style with some variation and greatly simplified many entries. Bureau of the Census. Heads of Families at the First Census of the United States Taken in the Year 1790: Pennsylvania. (Washington, D.C.: Government Printing Office, 1907), p. 45, column 1, Peter Poste. 1920 U.S. Census, Lackawanna County, Pennsylvania, pop.sch., Ransom Twp., enumeration district (ED) 93, p. 6B, Family #118, John R. Posten; digital images, com (http://www.ancestry.com : accessed, viewed, downloaded 13 December 2016); citing National Archives and Records Administration, Washington, D.C., Roll T625_1578. The first reference is for the printed book, found at the Oklahoma State Historical Society library in Oklahoma City. In the first edition of the Posten family history, I often added a statement such as “personal copy” or “accessed at Oklahoma Historical Society Library on 28 December 2011.” These locations are helpful for “working notes. . . as an aid in case we need to reconsult it. However, a citation to the facility most convenient to us personally would be of little value to users of our work who live elsewhere.”  So, those comments will be deleted in the next edition. However, the information remains in the first edition as well as in my handwritten and digital notes. “Heads of Families at the First Census of the United States, taken in the year 1790. Pennsylvania,” population schedule, p. 45, col. 1, Peter Poste; digital images, United States Census Bureau Library (https://www2.census.gov/library/publications/decennial/1790/heads_of_families/pennsylvania/1790i-02.pdf : accessed 17 October 2017); citing National Archives and Records Administration, Washington, D.C. Record Group 29. 1790 U.S. Census, Bucks county, Pennsylvania, population schedule, township not stated, p. 112 (penned), col. 1, Peter Pofte [Poste]; digital image, Ancestry (http://www.ancestry.com : accessed, viewed, downloaded 17 October 2017); citing National Archives and Records Administration, Washington, D.C., microfilm publication 637, roll 8. Page numbers. Page number 45 from the print and online books, page 112 from online database. Online book is digital image of the printed page, so page number for the first two footnotes is the same. Digital image from Ancestry is a copy of the original document with a different page number as recorded on the original document. Spelling of name. Poste from print and online books, Peter Pofte [Poste] from online database. The first two are typed transcriptions of the original document. The third is a copy of the original document. My interpretation of the spelling was placed in brackets since it is different than what is written on the original document. For more information about ‘long s’ (often looks like ‘f’ in early documents) and ‘short s’, go to this blog: Andrew West, “The Rule for Long S”, Babelstone, 12 June 2006 (http://babelstone.blogspot.com/2006/06/rules-for-long-s-html : accessed 17 October 2017, para. 7. Source of the source. First footnote is from a printed book, complete with publisher and publication date. No additional information needed because this book is available at many libraries. If it is a rare book or part of a special collection and not readily available, then add the repository. The 2nd and 3rd footnotes identify the repository (citing . . . . ) or location where the original item is held or originated. Specific information (Record Group 29; microfilm publication 637, roll 8) reflects information given in the database. Remember that online databases are lists of documents and other information, not repositories. According to Mills (2015), a repository is “an archive, government office, library, or other facility where research materials are held.” Consider that definition when deciding whether to add the repository information or not. Viola Blanche Maurer Tucker, “Maurer- Tucker Family History.” (Handwritten notes. Huntington, New York, ca. 1975-1980); carbon copy privately held by Susan M. Posten Ellerbee, [address for private use,], Yukon, Oklahoma, 2010. “Chester County Tax Rates, Oxford, 1774”, Provincial Papers: Proprietary and other tax lists of the County of Chester for the years 1774, 1779, 1780, 1781, 1785; Pennsylvania Archives, Series 3, Volume 12, page 71; digital images, Fold3 (http://www.fold3.com : viewed 12 December 2011). “List of taxables of the County of Chester, 1774: Chester County Tax Rates, Oxford, 1774”, Provincial Papers: Proprietary and other tax lists of the County of Chester for the years 1774, 1779, 1780, 1781, 1785, William Henry Egle, editor, Pennsylvania Archives, 3rd series, vol. 12, (Harrisburg, Pennsylvania: Wm. Stanley Ray, 1897), 71. You can find the referenced page from either of the two footnotes for the online source. With online sources, remember to look for a copy of the title page and publication page. In this example, only the last footnote gives the complete information. A final suggestion about citing online sources – check the website before you publish. I found several websites that changed or disappeared since I first accessed them in 2010 or 2011. Happy Birthday, Copy Machine! Happy Birthday, Copy Machine! What helped. Having print copy of Evidence Explained book. Written information in initial draft of manuscript about date & place item was located. Library call number recorded on some documents. Using blog as a practice venue as I am still learning how to cite sources correctly. What didn’t help. Putting off the inevitable that citations needed to be re-done. Future: Photocopy title pages of books and/or copy all possible information before leaving library or repository. If applicable, record library call number. Write the location, such as Oklahoma Historical Society library, Oklahoma City, and the date copied on my copy of the title page. Staple or paper clip pages together before leaving the building. And, the work continues! The Chicago Manual of Style. 16th edition. Chicago: University of Chicago Press, 2010. 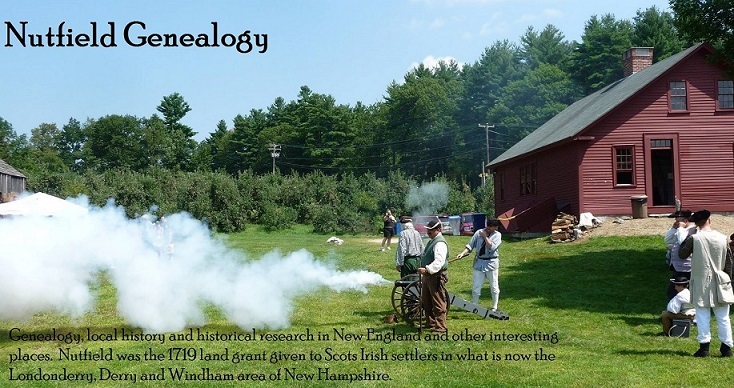 ← Writing & revising a family history. Part 1. Content & format. Thanks for linking to my blog post about citations & sources! © Susan Posten Ellerbee and “Posting Family Roots” blog, 2017-2018. Excerpts and links may be used when full and clear credit, including appropriate and specific direction to the original content, is given to Susan Posten Ellerbee and Posting Family Roots. Unauthorized use or duplication of material without the written permission of the owner is prohibited.